Release of Vulkan API is currently the hot topic in IT world. Guys from ArsTechnica have tested new API graphics for AMD and NVIDIA. General conclusion is that work still needs to be done but with further improvements the Vulkan could be the next big thing in developers world. You can read the whole review here. Meanwhile, our colleagues from NVIDIA are quite satisfied with mutual work and cooperation on The Talos Principle. “Croteam has always been a fantastic developer to work with, their enthusiasm and technical ability ensure they’re always on the cutting edge of technologies. 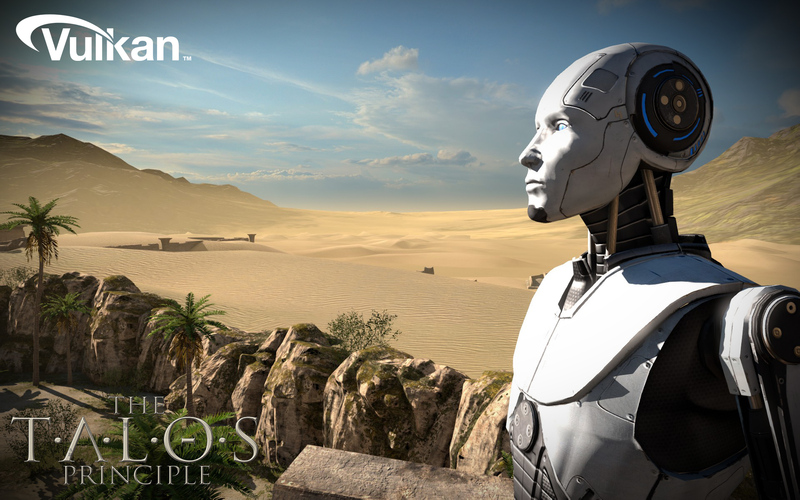 It’s a pleasure to collaborate with them, and we’re especially excited to see The Talos Principle taking advantage of Vulkan on NVIDIA hardware and aligned to release!”, said Tony Tamasi, Sr. Vice President, Content & Technology, NVIDIA. Following the recent release of Vulkan API, gamers around the world are making first tests for the mentioned new API graphics. One of the eager future Vulkan fans are the guys from AnandTech who have tested new API release on standard GPU with Windows 8.1. You can read their whole review here. General conclusion is that the implementation so far is better than expected but in the future we can expect further improvements. Hopefully the developers will know how to use Vulkan API more efficiently. 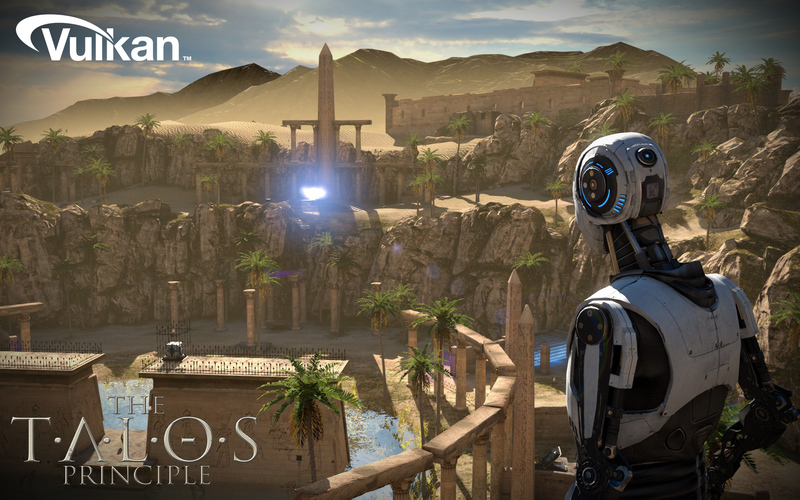 One of our partners in crime, AMD, are satisfied with the ongoing collaboration on our latest game The Talos Principle. We are eager to hear for more test reviews soon. 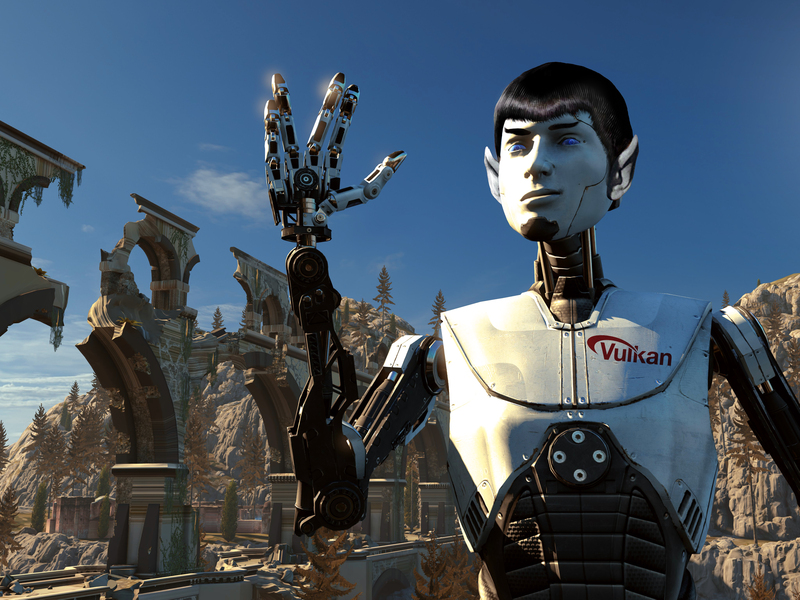 Vulkan is the new graphics API that makes for a great foundation for future games and 3D apps. 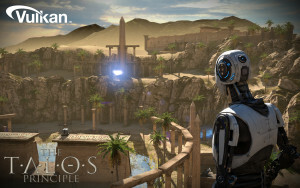 If you’d like to check it out with The Talos Principle BETA Vulkan support, it’s a good idea to read this forum post first. Croteam’s Senior Programmer, Dean Sekulic, is pretty excited right now (we all are!) and his post is an interesting mix of instructions, disclaimers and a personal dev diary. With the imminent release, Vulkan is also a hot topic in tech community so we asked Dean just a few questions about bringing Vulkan support to Serious Engine. 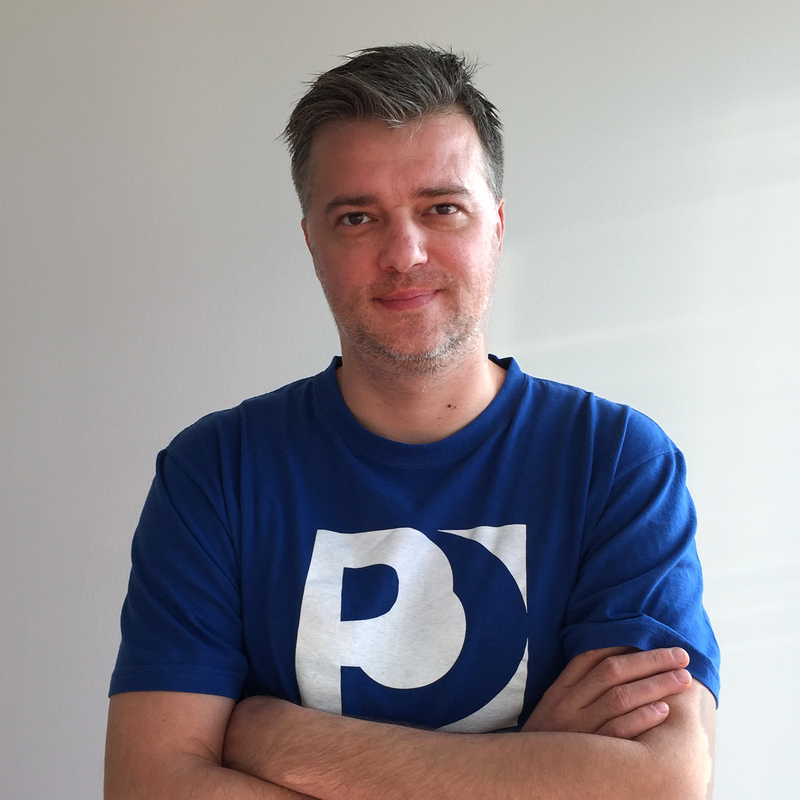 Co-founder of Croteam and veteran of the games industry, Dean Sekulic is our graphics engine specialist. He is currently working on Vulkan implementation in Serious Engine. 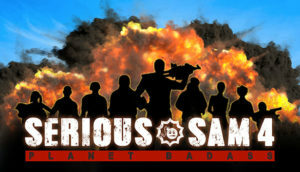 Serious Engine already works on many different platforms and the general consensus is that it works very well. Why do we need Vulkan? Vulkan is a great fit for Croteam’s next game, which will require no compromise when it comes to raw performance. Vulkan wasn’t officially released till today, so how were you able to work on implementation and roll out one of the first titles supporting this new tech? How would you describe the current state and performance of Vulkan API? What is your experience with implementing Vulkan support in an existing game engine and making it work with current technology? 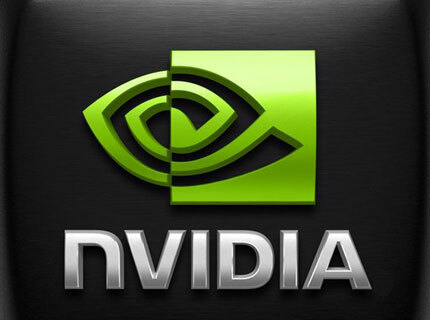 We had great support from both NVIDIA and AMD and the really nice folks in their developer relations department and driver programmers helped us a great deal! All in all, it was a much smoother operation than I anticipated at first, regarding all the classic issues with “hitting a moving target.” Yes, it was quite hard to code support for API while it’s still being changed, but I’m really happy that we went that way so early and also helped in designing the API itself. Also, I have to point out that we’re not there just yet – some work is left to be done in both low-level and high-level optimizations. How would you describe your experience with Vulkan in just one sentence? Vulkan in just one sentence? The endless war between performance and portability is finally over! Would you be willing to share your experience with Vulkan with other developers? Absolutely! I’ll be more than happy to share Croteam’s experience, both the advantages and the challenges, on porting an engine from OpenGL or Direct3D to Vulkan. I’ll be giving a lecture about implementing Vulkan in Serious Engine at Reboot Develop 2016 in Croatia in April. Hopefully, I’ll be one of the speakers at the Vulkan panel at GDC 2016 in San Francisco in March, but we’re still in talks about that one. 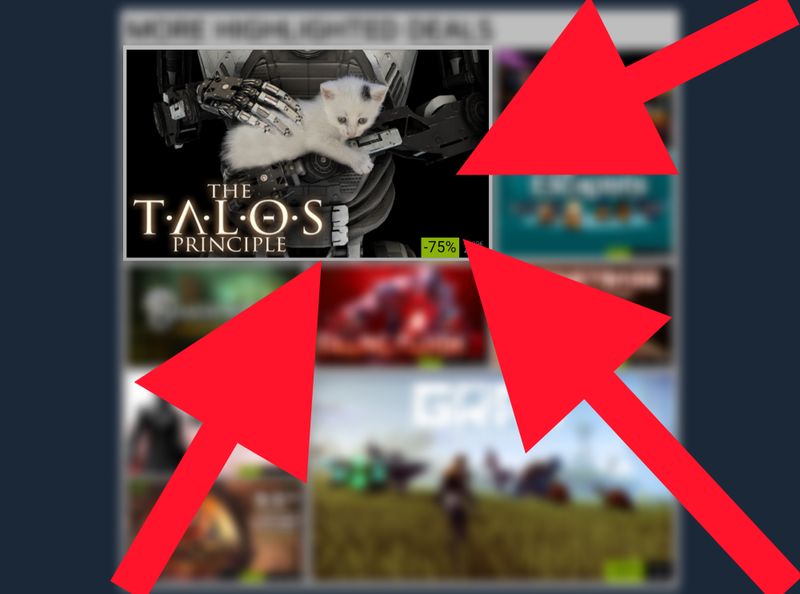 The Talos Principle at 75% off! While it may appear that this game is always on some sort of sale, it’s not. It’s just that our marketing team (IT’S ME, THE GUY WHO’S TYPING THIS, HI!) has been kind of lazy when it comes to news updates. No philosophy to it – get it now, it’s a great game. Don’t take our word for it, check out the reviews. There seems to be a lot of media interest for Croteam’s support of Vulkan API in existing and upcoming games, especially after this comment on a forum. We asked Dean Sekulic, Croteam’s Senior Programmer, to confirm the story. After seeing the first screenshot we weren’t quite convinced that was the support Khronos Group is looking for. We confronted Dean about it and asked him if he read the official specifications at all? We were terrified to ask anything else. But YOU could try.